The Open Tomb: Your Easter Message! 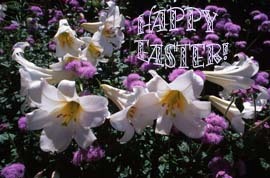 We believe Easter represents the complete alignment of your human nature with your Divine Nature! The Open Tomb signifies your ability to roll away every stone standing in the way of aligning your human self with your Divine Self! 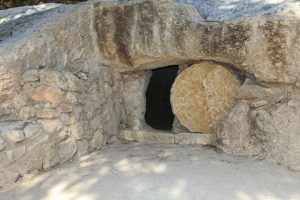 Understanding the true meaning of the Resurrection makes it clear why Easter is the most powerful, most meaningful event for us, because it commemorates the demonstration by Jesus of what we can all do: Overcome our error thinking and become one with our Divine Nature! Remember what He said: I come that you might have LIFE, and have it more abundantly!! When he was 94 years old, Charles Fillmore wrote the following affirmation: “I fairly sizzle with zeal and enthusiasm and spring forth with a mighty faith to do the things that ought to be done by me.” How wonderful to affirm such energy and vibrancy…at 94 years young! Recalling this reminded us of successful things people have accomplished at a time in their lives when others were ready to count them out, finished, done with all possible contributions to life! For example, when we were in Louisville, KY not long ago, we noticed that they have painted portraits of their city’s famous people on the sides of buildings. Right outside our hotel window, we had a great view every morning of Colonel Harland Sanders. 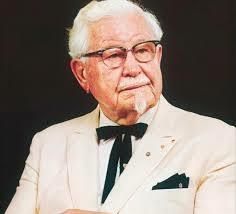 The founder of Kentucky Fried Chicken was turned down over 1,000 times when he tried to interest others in his recipe for chicken. He drove from town to town, often sleeping in his car, to personally call on restaurant owners. He strongly believed that the value of secret recipe would eventually be recognized. His persistence and belief in himself and his recipe finally paid off in a big way! His tenacity is inspiring, especially when you consider that he found his success when he was 65 years of age. Charin Yuthasastrkosol discovered her destiny at age 47 when she began ballet and has not stopped dancing since. She became the Oldest Performing Ballerina when she danced for Thailand’s Ambassador to the USA at Albuquerque, New Mexico in 2002 at the age of 71. And guess what Estrid Geertsen did in 2004, at the age of 100? She became the Oldest Female Tandem Parachute Jumper! Or how about this? Imagine the man trapped in a 65-year-old body that is riddled with severe arthritis, emphysema, and heart disease. This was Frank White’s reality, but at 65, he turned his life around with Yoga, and became a yoga master. An inspiration to many, he taught hundreds of students until his death at age 85. So how about you? What are your passions, your gifts? What is the potential yet to be realized that is burning within you? Instead of looking back with regret at what you haven’t done, realize: It’s never too late to discover and fulfill your potential—now! At the age of 14, Adám Lörincz became the Youngest Composer of a Musical, when his 92-minute musical, Star of the King, was performed in 2002 in Hungary. Or how about the youngest person to ski on all seven continents? That would be Tom Hayes, starting at the age of 4 in Vermont, USA finishing at the age of 13 in Nagano, Japan. Phoenix Trinity Perego didn’t worry about how young she was, when she had a formal gallery show displaying her artwork, along with a live auction of two of her first works, in Florida, in 2006. Her age? 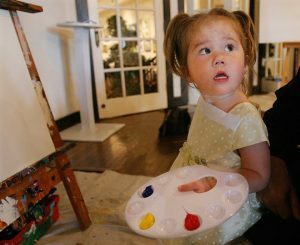 She was just 2 years old, becoming the youngest professional artist. And any of us who have grandchildren can go on for hours about the amazing things these young’uns do!! Value the children in your life, and begin now to encourage them to recognize and unfold their potential. And realize, It’s never too soon to discover and fulfill your potential—now! Easter Message #3: THE TIME IS NOW!! This is the most important message we can leave with you today. Everyone has potential, but potential unrealized is useless. We each have an extraordinary uniqueness that is ours to share with the world, and as we express it, we are expressing our Divine Nature. Remember this: There is something that is yours and yours alone to do — and NO ONE in the whole world who can do it the way you do it! But here’s the deal: you must do it! Our own self-talk. How many times do you talk yourself out of a great idea? You get excited, then you start that old tape: “I can’t do that! Who do I think I am? I don’t have what it takes to do this. Etc., etc., etc. You need to take control, and tell those negative voices. Just say, “Thanks for sharing!” Then, turn those inner negative voices off and go for it! Other people’s negative comments: How often do we let someone else talk us out of our Divine Ideas? We are excited about something, then someone says, “Have you thought about … I don’t think you could be successful with that … or … You could never make a living doing that!” If it’s your Divine Idea, no one else could possibly know what kind of success you can have with it. It is between you and Spirit! So turn those outer negative voices off and go for it! Paralysis of Analysis! We have a great plan, then we keep planning and planning and planning — and never get anywhere! There is a time for planning — and there is a time for action! Move your feet and get started! Turn those planning and over-planning voices off and go for it! Easter is the day of Resurrection — of potential realized. You have Extraordinary Divinity within you — and you have the potential to become aligned with that Divine Nature, just as Jesus the Christ demonstrated! It’s all there … waiting … so now, it’s up to you! We affirm that you take that step, move your feet, do it now — and realize the fullest potential of the unique, wonderful, extraordinary person that is the Truth of who you are!